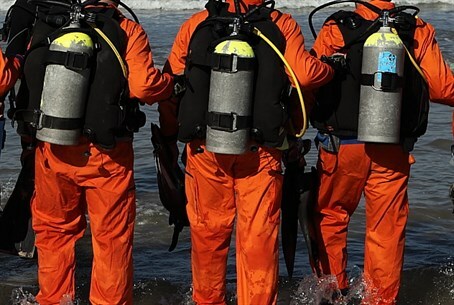 Customs officials and the Shin Bet have thwarted an attempt to smuggle diving suits for naval operations against Israel into Gaza. It has been released for publication on Monday that earlier this month customs officials at the Nitzana Border Crossing and the Israel Security Agency (Shin Bet) cooperatively foiled an attempt to smuggle diving suits into Gaza. According to an import document, the shipment was supposed to contain sportswear, but a thorough examination by custom workers at the border crossing between Egypt and Israel, revealed that the shipment actually contained 40 diving suits. Bringing diving suits into Gaza requires a special permit, which this specific shipment hadn't attained. Security forces believe this shipment is part of Hamas efforts to rebuild militarily in Gaza, and particularly, to establish a Naval Force, which would include commandos designated to carry our terror operations against Israeli targets. Such a tactic was used last summer during Operation Protective Edge, when four divers came ashore on Israeli territory in order to attack security forces and civilians. Customs employees at the Nitzana Border Crossing have reported seeing a recent increase in the number of attempts to smuggle weapons and weapons manufacturing materials into Gaza. Two weeks ago it was released for publication that inspectors at the Nitzana crossing had recently located and seized 1,200 tubes of polyurethane hidden in a shipment of silicone. Polyurethane has been forbidden from entry to Gaza given that it is used by terrorist organizations to produce rocket propulsion materials. A shipment of paint cans also arrived at the Nitzana crossing in early March, with inspectors discovering that a portion of the cans had a forbidden hardening material HARDNER professionally concealed within them. The material can be used to create rocket propellants. A nearly identical attempt to smuggle HARDNER into Gaza via paint cans was also foiled in mid-February.